GetSmarter recently placed as one in seven finalists in the inaugural Top 500 Bestmed Workplace Wellness Awards. The Bestmed Workplace Wellness Award recognises companies that have in place holistic employee wellness initiatives. We shared the finals with other leading companies, who also mirror our passion for finding diverse ways to encourage a healthier, happier workforce. 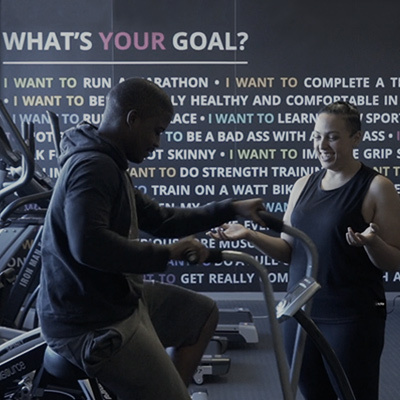 We are proud to be considered one of the leaders in corporate wellness in South Africa, and will continue to strive to further add value to our team members’ professional lives and personal wellness. Hi, my name is Sheana, and I’m the Wellness Manager at GetSmarter. I’ve been here for just over six years. At GetSmarter, we strive to create a culture of wellness for our team members by providing a wellness programme that is engaging. One of our values at GetSmarter is honouring learning and we stay true to this by providing health and wellness initiatives, resources and information. This works towards equipping our team members to make health-promoting decisions and empowers them and improves their overall wellbeing, promoting a healthy and supportive workplace environment. We aim to have a holistic approach to wellness, by trying to touch as many of the dimensions of wellness as we can: the physical, the intellectual, emotional and spiritual. Under physical, we have a fitness facility called the Sweat Box that team members can access at any time during the day. We also have group training sessions and weekly yoga and pilates classes. In our cafeteria, PureGood is dedicated to offering healthy food options, and we have daily subsidised Smart breakfasts and lunch options, with smoothies and juices to choose from. We have our own in-house barista to provide team members with fresh and delicious coffee every single day. We have a games area consisting of a pool table, chess board, foosball and table tennis, allowing for a very relaxing and social break during the day. As an intellectual component, we host talks and workshops by Wellness Experts for team members on various topics throughout the year, everything ranging from nutrition, stress management and women empowerment. We also have talks for parents on early childhood development, discipline and emotional intelligence. Our New Employee Assistance Programme has a great app, which team members can download and watch videos and read articles on various health matters. In addition to this, we offer all GetSmarter team members the opportunity to complete two courses of their choice per year. As an emotional component, we provide team members and their dependents 24-hour confidential support through our Employee Assistance Programme, whereby they have access to counselling, life management and musculoskeletal health management. Finally, from a spiritual aspect, we have a prayer room available to all team members, and a dedicated meditation room. At GetSmarter, we’re always changing and looking to improve, so we’re constantly searching for fun and innovative initiatives to add to our wellness programme in order to touch on all the dimensions of wellness. Our goal is to have the most comprehensive wellness programme to ensure that team members are healthy, happy, productive and engaged at work.